This is a video put out explaining this section when we released the Spread Beaters package last summer and fall. Bang on the pic below to take a look at it as we quickly explain what Spread Beaters is all about. 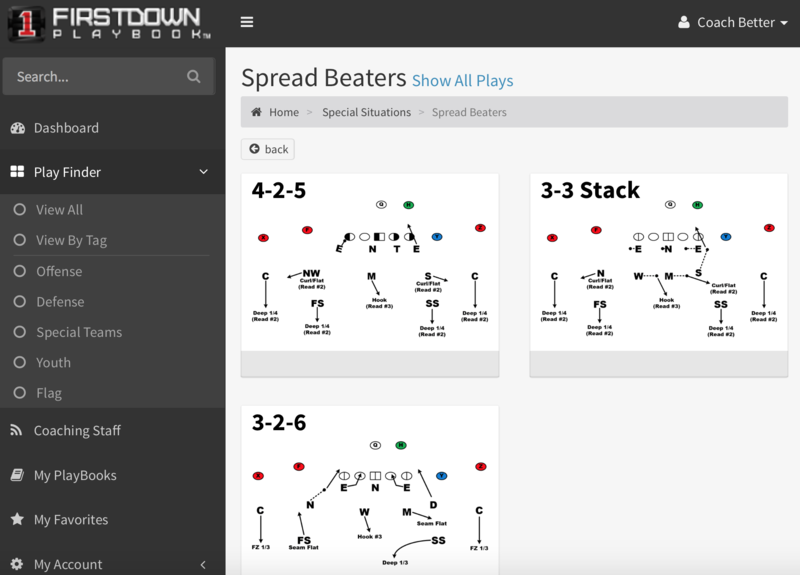 FirstDown PlayBook is the only Digital Football PlayBook that gives you access to thousands of football plays, schemes and technique help.